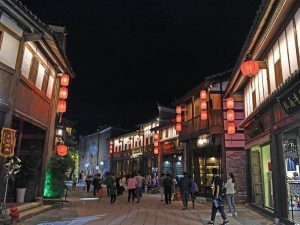 The district of Wenchangli in the subtropical city of Fuzhou contains an outstanding architectural and urban heritage with historical landmark buildings such as the house of playwright Tang Xianzu, nationally famous Chinese opera composer. 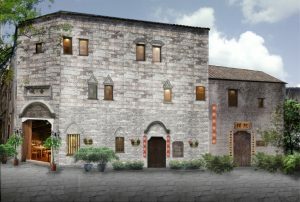 Its historical and commercial relationships brought Roman Catholicism into the area (expressed in the construction of the third largest Catholic Church in China in 1908) as well as the Minguo architectural style of the most outstanding buildings on Hengjie, the main street of the district. Continue reading "Fuzhou Hengjie Heritage Intervention"
Today, Wenchangli District is the most complete cultural area in the city of Fuzhou. In Song dynasty, Hengjie Street was the main road leading from Wenchang Bridge to Zhengjue Temple. 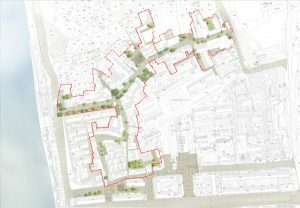 It was the starting point for the development of the whole riverside district, north and south. 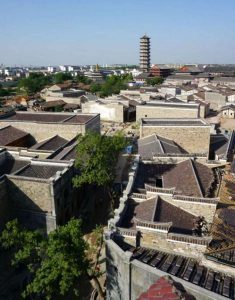 During the Minguo period it incorporated the Catholic church and other notable landmark buildings. 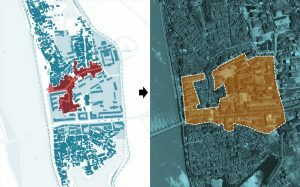 After 1949, its urban situation experienced a fracture with the development of new large scale residential buildings. 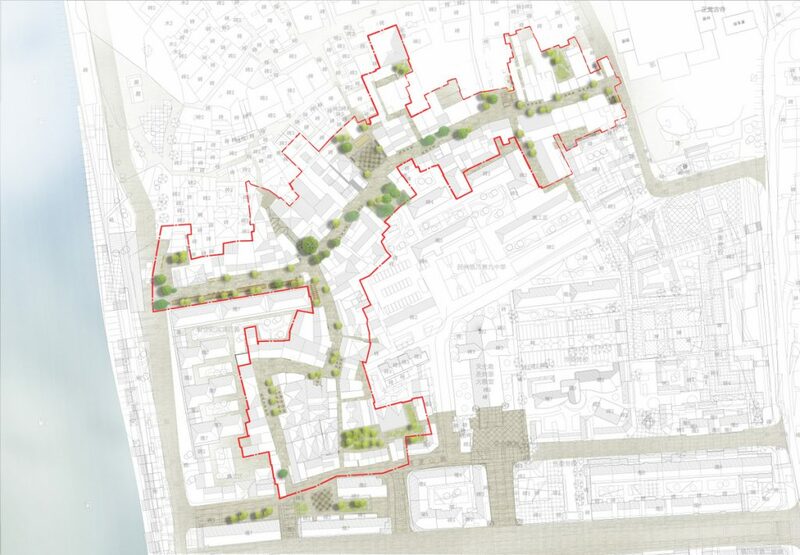 The central concept of this intervention project is the protection of the built and unbuilt heritage, and its gradual improvement, preserving the cultural and architectural values while organically incorporating business and commercial functions related to tourism. 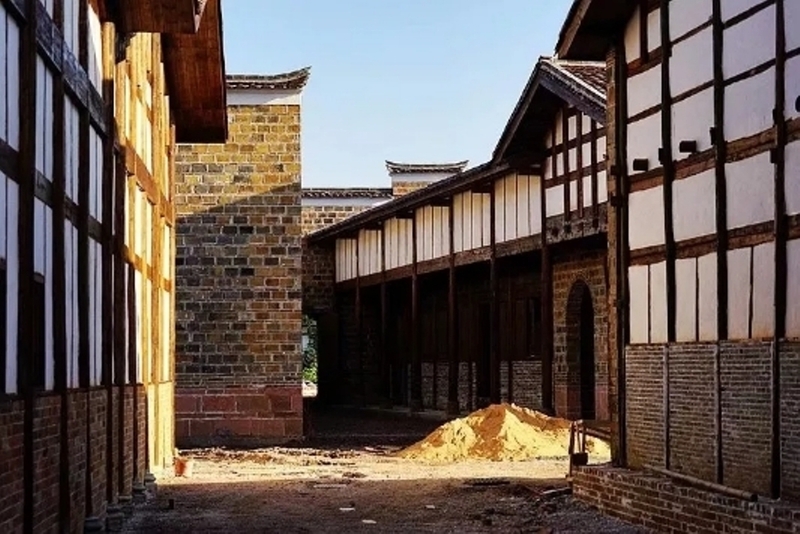 The protection of the existing buildings and cultural experiences has the purpose of maintaining the existing sense of history, time and way of life. 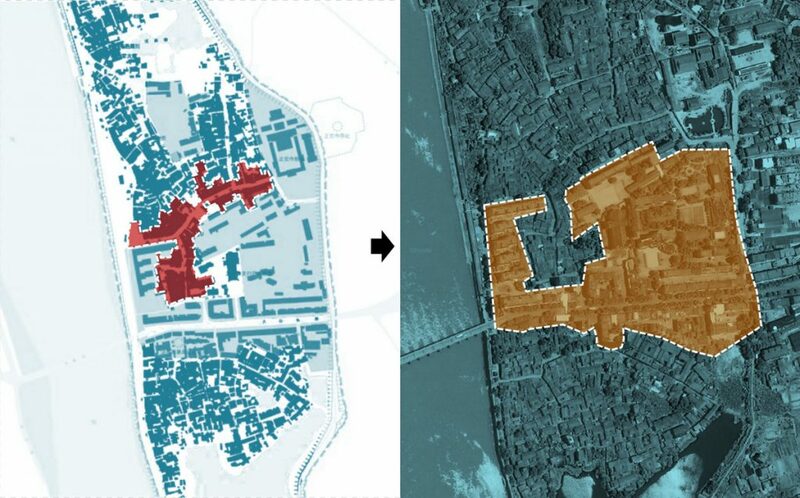 A step-by-step development improves the heritage in phases recovering the original culture and gradually increasing the content of experiences, according to the growth of demand in a reasonable combination. 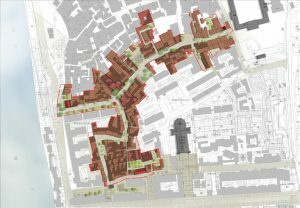 The working background is formed by three main sources: The intervention level of the preservation planning done by CAUPD with historical and cultural background study; the architectural measurements, on-site discussion, technical exploration and analysis; and the commercial strategy and product definition. 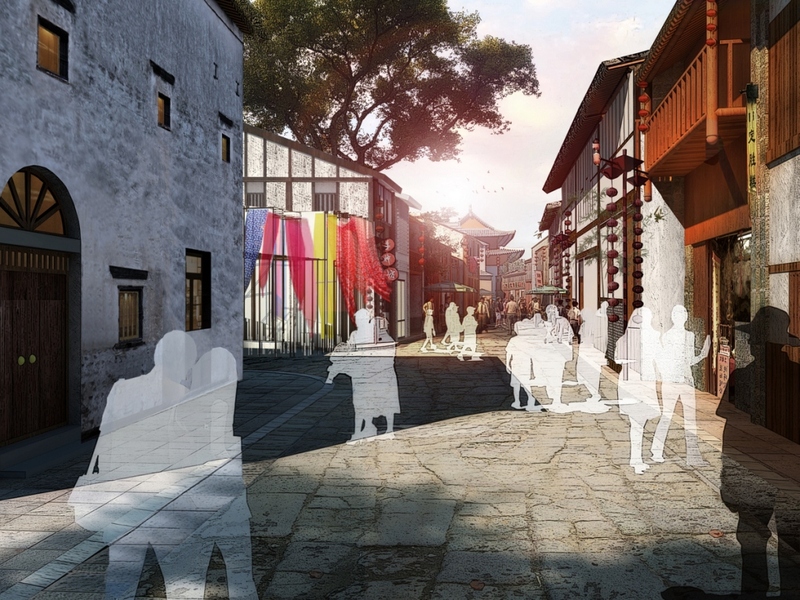 The three main elements are combined to create a “New Hengjie Street”, based on: The physical heritage (i.e. 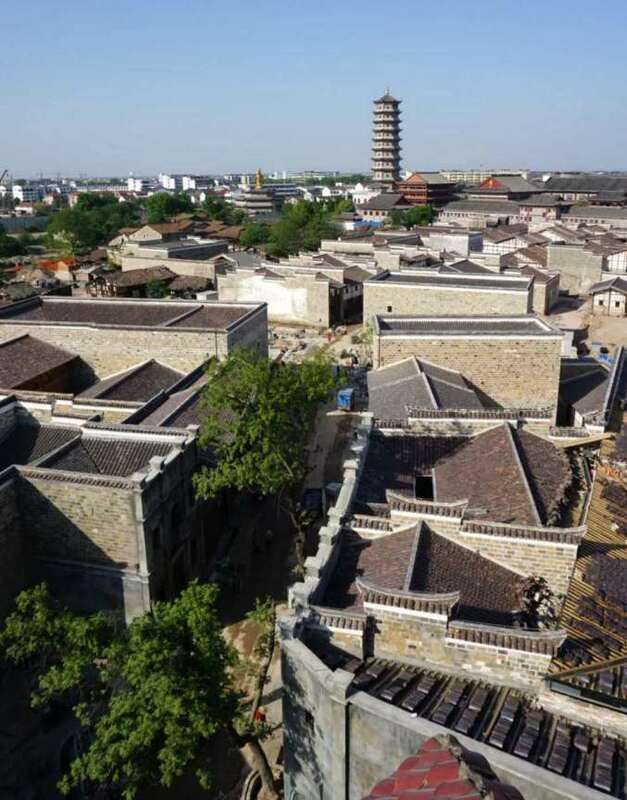 the preserved and restored architecture and landscape); the cultural heritage (with the high culture of Linchuan and the local historical functions of the past); and the new touristic vision (with commercial functions necessary to attract and serve visitors). 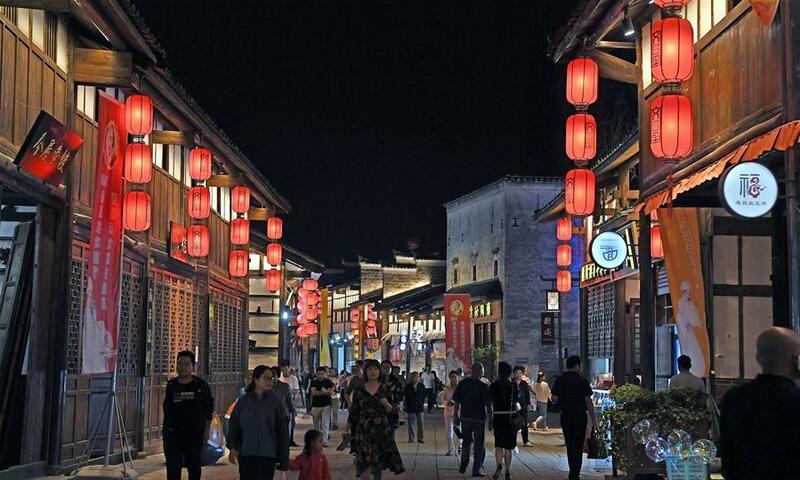 The plaza at the main crossing is the heart of Hengjie Street. 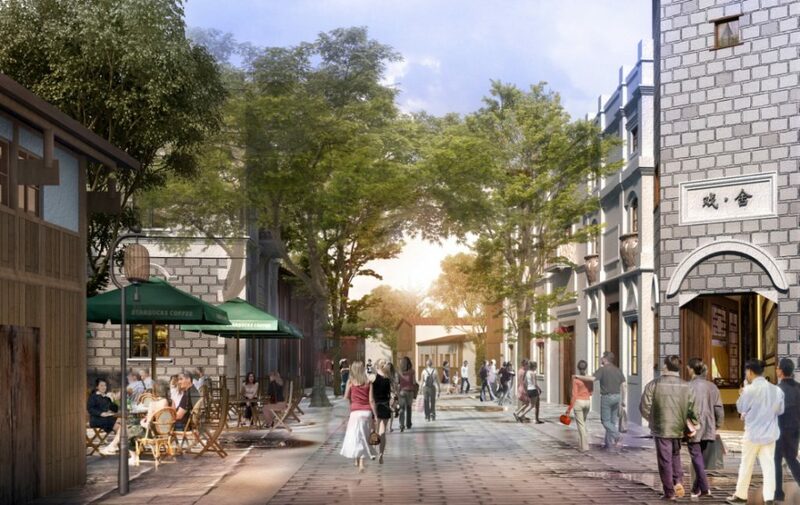 It embodies the most important values of the district in a warm and lively, elegant outdoor space: Mudanting Plaza. 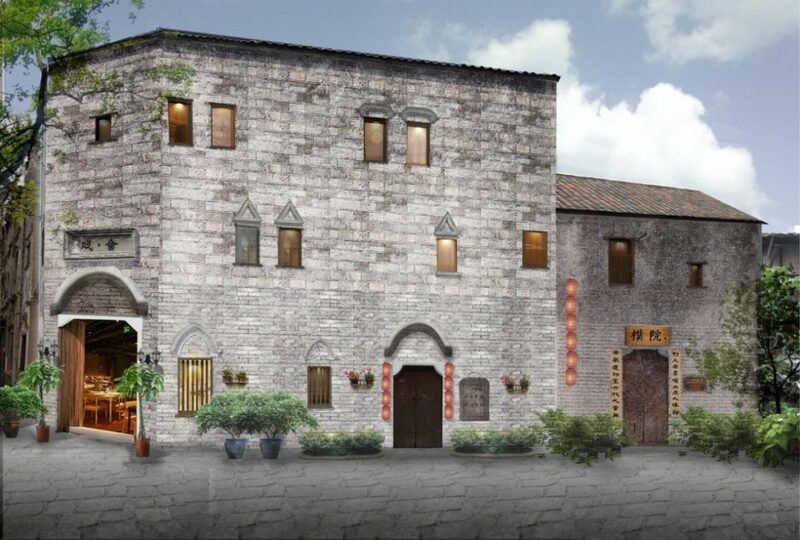 The noblest Minguo and Gan style facades are restored and brought to view, linking them to Linchuan high culture – as elegant Hotel and Library. All the historical functions are recovered, the bank and traditional craft workshops as exhibit spaces mixed with restaurant or cafés. 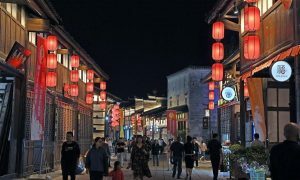 To the east we encounter the fabric arts and crafts area, marked by the Fabric Arts Plaza at the crossing of Dongxiangcang Street, where the Gan style façade buildings on both sides of the plaza are restored and repurposed as restaurant, boutique hotel and fabric arts workshops. 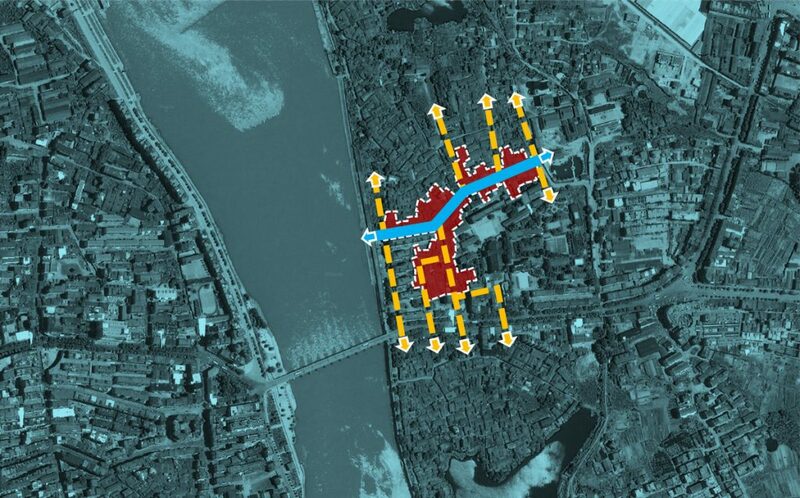 The main research and analysis was focused on finding an identity for Hengjie Street and covered the history of the Wenchangli district, its urban character and potential, its architecture and landscape heritage, and its own function of commercial history. 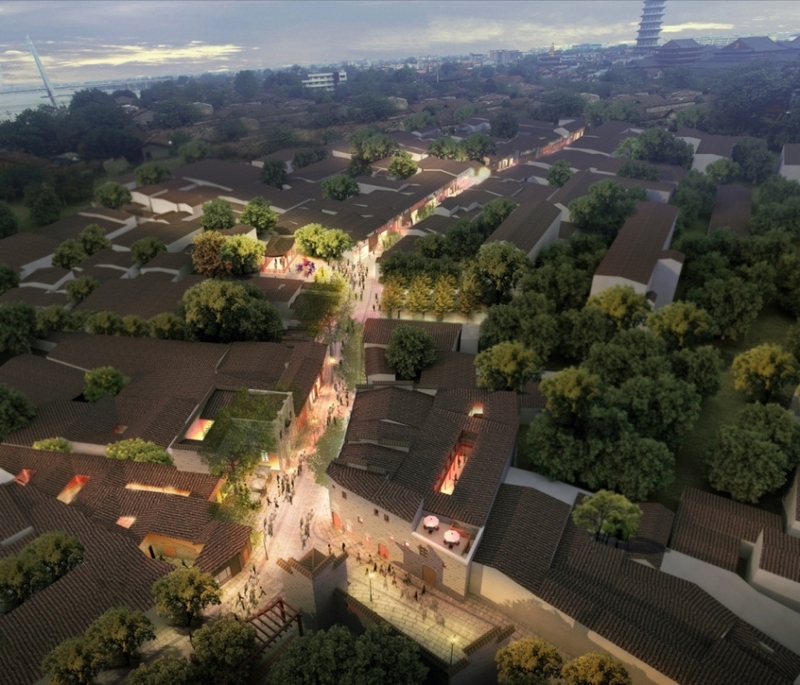 The urban role of the Hengjie Street sector is to create connections between the areas north and south to form a complete Wenchangli historic cultural district, incorporating all existing resources, serving as a “Linchuan cultural window”. The existing situation reveals different conditions and architectural styles of different value. The preservation strategy will guide the intervention with the goal to highlight these values. The architectural heritage is mainly expressed in the facades. 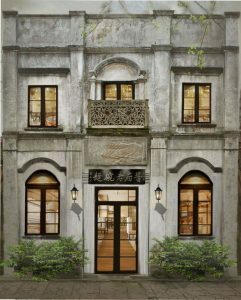 The facade analysis revealed 42% Gan style, 36% mixed or damaged, 4% Minguo style, and 18% post 1949 modern. In order to strengthen and highlight the architectural values, facades are restored, repaired and rebuilt, eliminating those with no value, reinforcing the historical character of Hengjie Street. Some modern elements are added to achieve a diverse, realistic town atmosphere. After the intervention, 80% is related to historical style, 7% is Minguo style, 6% is demolished for public spaces and 10% are modern elements. 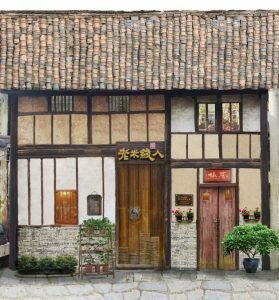 Another source of identity is the original mix of commercial functions of Hengjie Street, which still rests in the memory of its oldest inhabitants. 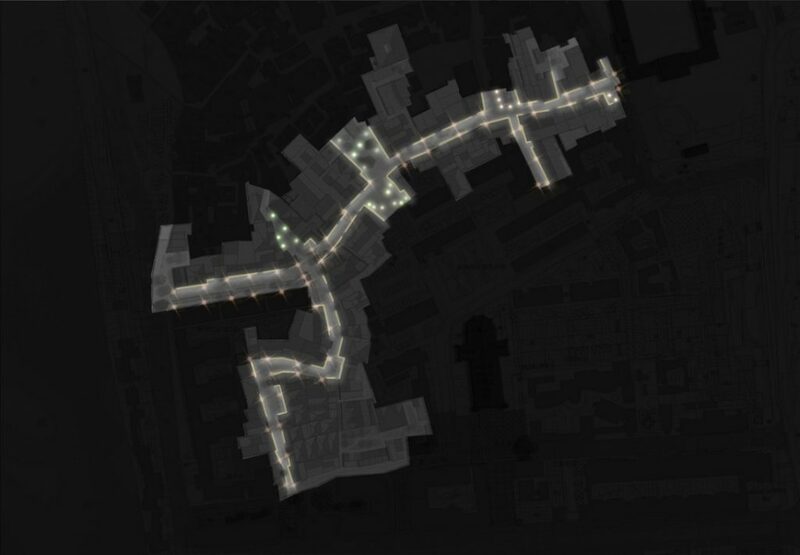 These functions are recovered and integrated as tourist resource, as exhibition spaces and workshops in combination with cafés and restaurants. In the first stage of development and intervention, nodes 1 and 2 can demonstrate the strategy. 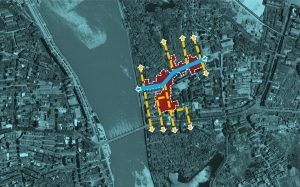 The first operation is the creation of new urban connections required to improve connectivity and cultural synergy from north to south. 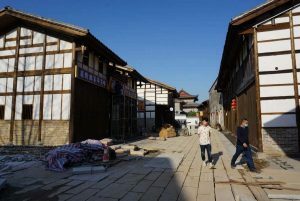 A new plaza marks the main crossing of Hengjie Street with this new north south connection. 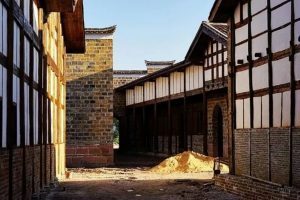 Both plaza and new alleys also reveal Ming walls, previously hidden to view. The existing functions are recovered and restored as exhibition spaces with art workshops related to the traditional crafts sold on these properties. The buildings with strong architectural value are preserved as relic houses. 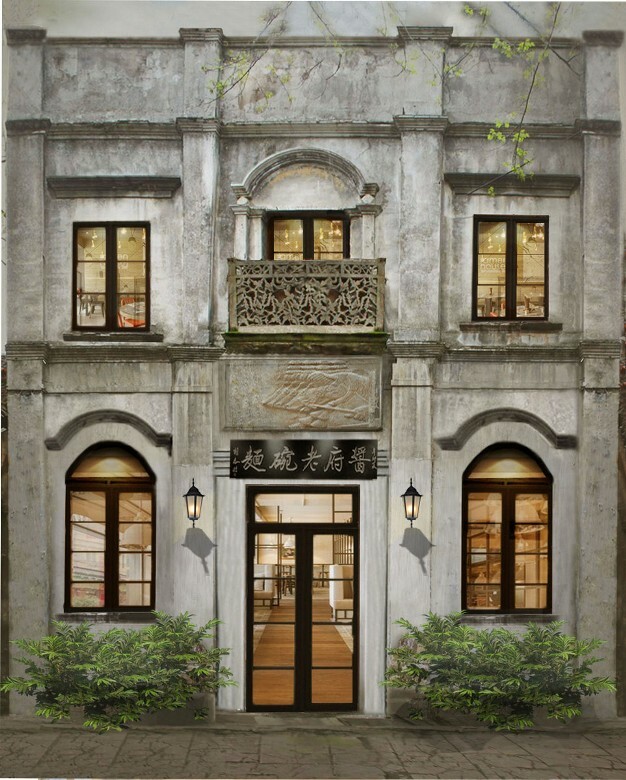 A new boutique hotel is proposed, restoring the important Minguo and Gan style facades and preserving interior layouts, whereas in the deteriorated areas only the original spatial layout is preserved for new guestroom functions. On the crossing of Hengjie Street and Dongxiangcang Street, another plaza is proposed, demolishing modern buildings of limited value. The existing craft shops are restored into the memory of visitors by repairing and rebuilding two fabric workshops. A sculptural setting is created in the plaza. 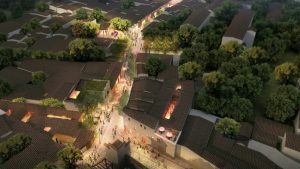 Other buildings are restored as cafés, restaurants and youth hostel, in an alley which – in the future – will connect to the Central Plaza of the whole Wenchangli District.